Embarked airplanes are a source of inspiration for modelers, each featuring a full range of effects and wear unique to aircraft operating at sea. Our collaborators will teach you how to handle a wide range of products to get the most realistic and eye-catching finishes with ease. For these fascinating subjects, a range of unique techniques are shown for representing the effects of fading, salt and rust, humidity, chipping, accumulations of grease and dirt, and of course we have not forgotten scratches or deep chipping on metal surfaces and primers. 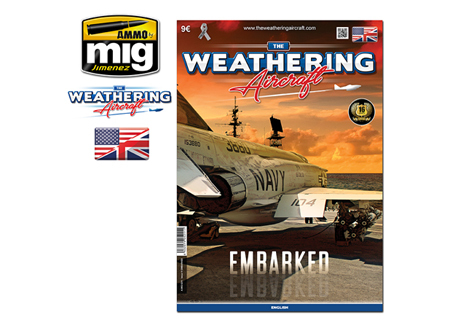 On board this issue you will find airplanes and helicopters from a range eras and countries that we are sure will inspire your new projects.